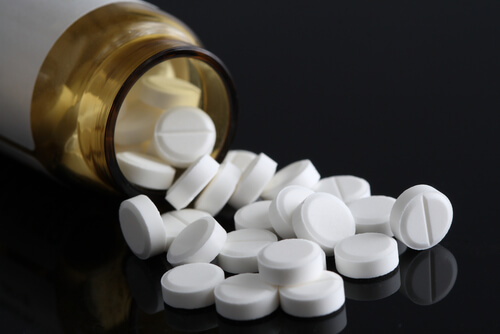 How may Baclofen overdose happen? 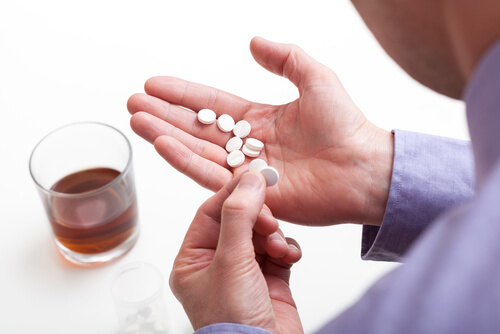 What are the symptoms of Baclofen overdose? Baclofen overdose symptoms tend to occur when a patient takes a dosage that is higher than prescribed. Generally, treatment should be started with a dosage of 15 mg daily in divided doses. Management of symptoms associated with condition treated by Lioresal is achieved through a dosage of 60 mg daily, in most cases. However, a patient should always keep in mind baclofen max daily dose. Abuse of Baclofen pills is not recommended, because it can increase the overdose risk, mainly when a person uses the drug outside of their initial purpose. Taking 200mg of Kemstro or even more significant amounts induce some severe symptoms noted by NCBI which are going be described below. The largest reported case of Baclofen overdose was about 3000mg in a 47-year-old woman with a histrionic personality disorder, reactive depression, and longstanding back pain which led to an unsuccessful spinal fusion. The woman was found unconscious alongside three recently prescribed empty bottles of Baclofen and an empty wine bottle. Eight days later the patient died in hospital. The body absorbs therapeutic doses of Lioresal rapidly, and maximum levels of the drug in the bloodstream are reached within one to two hours. The half-life of Baclofen in most cases is around 5.5 hours. Therefore, conventional dosages are eliminated out of the body within 24 hours. On the other hand, large doses are not as quickly absorbed, and they tend to have 8.6-hour half-life. As a result, Lioresal takes up to 72 hours to be eliminated when taking in large doses which explains why a patient experiences severe symptoms. For instance, a case reported by John J. Miller, told us about a 48-year-old white female was admitted to the ER after a family member found her unresponsive and in respiratory distress. The family reported that a patient took no medications and there was no significant substance abuse history other than the occasional intake of husband’s diazepam tablets for insomnia. The woman later admitted taking a handful of Baclofen pills obtained from a friend with an intention to overdose. Bearing in mind that family didn’t know anything about the drug and a woman denied taking the pills initially the already complicated Baclofen overdose treatment became even harder. Besides to inadequate use of the drug overdose also occurs due to the buildup of Lioresal caused by abnormal kidney function. As a result, kidneys don’t excrete the drug fast enough even when a patient takes the recommended dosage. The drug is similar to GHB but less addictive. Recreational use of Baclofen is not encouraged nor allowed, particularly among patients who don’t know anything about how much Baclofen to overdose thus jeopardizing their health and life. When taken in normal, therapeutic amounts of baclofen 10 are relatively safe and do not induce the risk of overdose. Of course, like other pills, adverse reactions may occur such as anxiety, drowsiness, weakness, headache, vomiting, nausea, and other Baclofen side effects. Persons who overdose on Baclofen have difficulty breathing, lightheadedness, and lower than average body temperature. Scientists noticed that the same symptoms of overdose were observed in adults and adolescents. 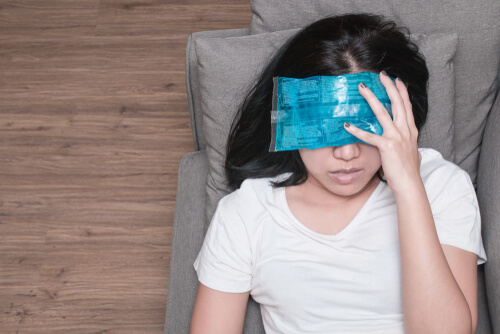 In acute ingestions, the use of activated charcoal may be warranted. Treatment of agitation or seizures may require the use of benzodiazepines. Vasopressors could help hypotensive patients. Clinical effects associated with overdose to this drug last between four and eight hours. A patient may need to undergo hemodialysis to increase clearance of Baclofen or Flexeril even to shorten the duration of toxicity with impaired kidney function. Baclofen overdose side effects and reactions are numerous meaning patient education is crucial for the avoidance of unwanted scenarios. Doctors also need to take into consideration how long does it take for Baclofen to kick in. While the drug usually works in about two hours, patients with impaired kidney function tend to have a different experience as pills take longer to work. The drug may require close monitoring so knowledge about patient’s health and history may help physicians and healthcare providers protect them from a potential overdose, because Baclofen as a muscle relaxer, when overdosed, has no known antidote. Regardless of the purpose for which the drug is described, an overdose of Baclofen is potentially lethal. It can be prevented through adequate use of the pills, patient education, deep insight into patient’s health, and by raising awareness among adults and adolescents. 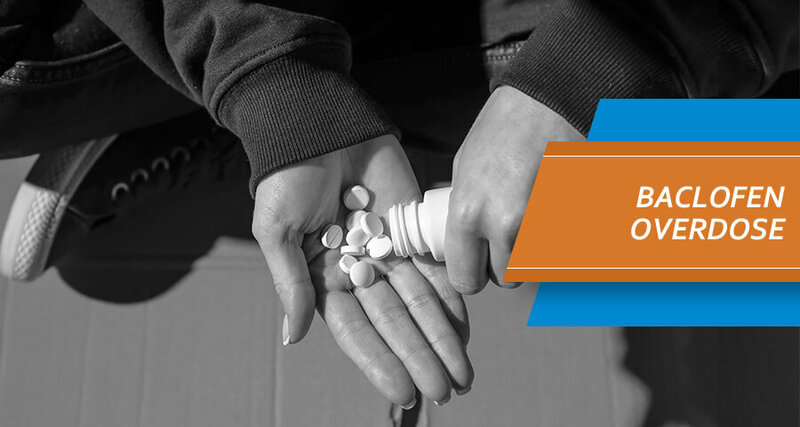 If you or someone close to you experience signs of substance abuse and may be at risk of overdosing on Baclofen, feel free to get in touch with our 24/7 hotline (888)-459-5511 for help and support.